The office of Elizabeth Etkin-Kramer, MD welcomes your call and looks forward to serving you. 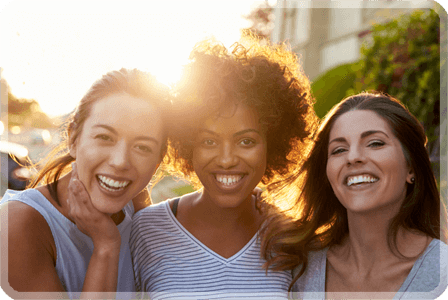 If you have any questions about our gynecology services, please call our office at (305) 674-8038 to schedule an appointment, or you can use our secure online appointment request form. Dr. Etkin-Kramer’s regular office hours are Monday through Friday, 9 am to 4:30 pm. We serve patients in Miami-Dade County and surrounding areas of Aventura, Bal Harbour Village, Bay Harbor Islands, Biscayne Park, Coral Gables, Doral, Golden Beach, Hialeah, Hialeah Gardens, Homestead, Indian Creek Village, Key Biscayne, Miami Beach, Opa-Locka, Pinecrest, Sunny Isles Beach, Surfside, Sweetwater, Virginia Gardens, South Florida. In the event of a life-threatening medical emergency, call medical emergency services at 911 immediately. DO NOT WAIT! Inform the emergency room staff that you are a patient of Dr. Etkin-Kramer and they will contact us. If you have an urgent medical need and need to talk to Dr. Etkin-Kramer after our regular hours, please call our office at (305) 674-8038. Your call will be returned promptly. Dr. Etkin-Kramer accepts most major insurance plans, including Medicare, AvMed, Aetna, United HealthCare, BCBS of Florida, Coventry, NHP, Cigna, Humana PPO, and AARP. Please contact your insurance company or you may call our office at (305) 674-8038 to find out if we accept your insurance plan. If you have a question related to your bill or insurance, please contact our billing specialists (305) 674-8038. If Dr. Etkin-Kramer suggests a specialist evaluation or diagnostic testing that requires a referral, we will make every effort to provide this for you as soon as possible. Some referrals require insurance preauthorization and cannot be processed immediately. Insurance guidelines prohibit us from backdating referrals. We require three business days for the processing of routine referrals. Dr. Elizabeth Etkin-Kramer is affiliated with Mt. Sinai Medical Center and Memorial Miramar.